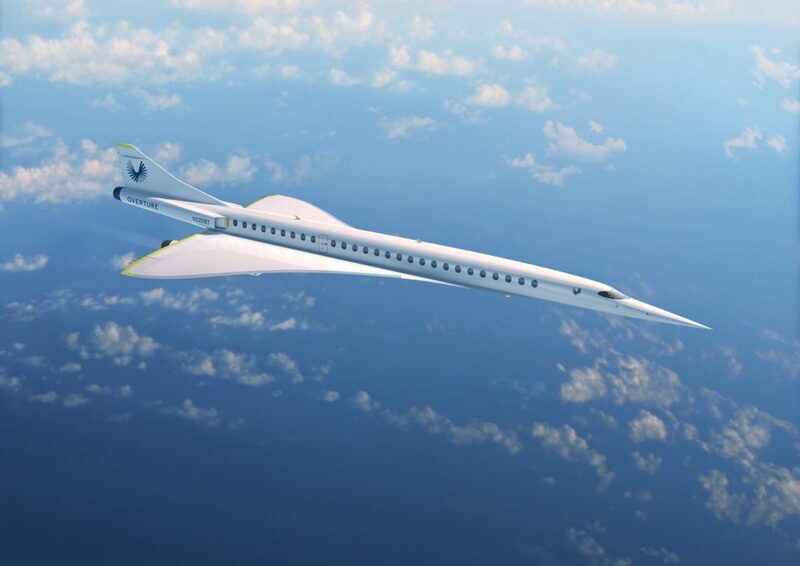 January 6, 2019 – Boom Supersonic, the Colorado company building a radically faster commercial aircraft, announced that it has closed a $100 million Series B investment round, bringing total funding to over $141 million. Investors, led by Emerson Collective, include Y Combinator Continuity, Caffeinated Capital, and SV Angel as well as founders and early backers of transformative companies like Google, Airbnb, Stripe, and Dropbox. The proceeds of Boom’s Series B round, which include $56 million in new investment as well as previously-announced strategic investments, allow the company to advance the development of its Mach-2.2 commercial airliner called Overture. Overture will be the most community- and environmentally-friendly supersonic jet ever made. Thanks to advanced aerodynamics and engines, the carbon footprint will be similar to flying international business class today. Moreover, Overture is being designed to accommodate next-generation sustainable alternative fuels. At landing and takeoff, Overture will be as quiet as the subsonic aircraft flying similar routes today. Boom is currently assembling XB-1, a ⅓-scale manned prototype of its Mach-2.2 airliner. XB-1 will be piloted by Chief Test Pilot Bill “Doc” Shoemaker and is set to fly later this year. As history’s first independently developed supersonic jet and the fastest civil aircraft ever built, XB-1 will demonstrate in flight the key technologies for mainstream supersonic flight: efficient aerodynamics, advanced composite materials, and an efficient propulsion system. Boom is growing quickly as it ramps up development. Today, the company has a full-time team of more than 100 and anticipates doubling this year. To accommodate the assembly of XB-1 and development of Overture, Boom recently relocated to a large, state-of-the-art facility in Centennial, Colorado. Selection efforts are ongoing for the manufacturing site for Overture, which will begin passenger service in the mid-2020s. Future customers include Virgin Group and Japan Airlines, which have pre-ordered a combined 30 Overture airliners.